Those are fantastic. 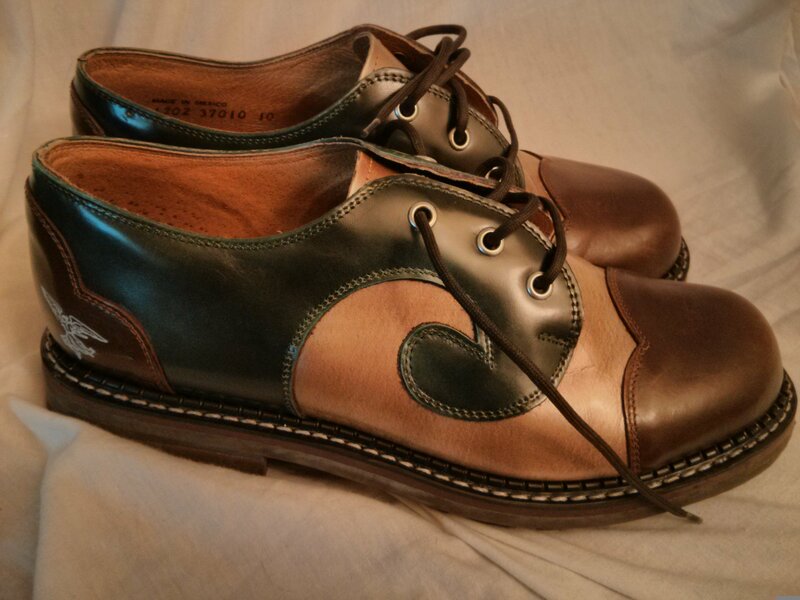 My bank account and I are supremely grateful I don't live anywhere near a Fluevog store. In my memories, Jeff's were much more green and wonka-wild. I do not, those were gone long ago. My only shoes I wear to work are some boring black ones and some brown wingtips, which are slightly more stylish. Would you like to know if I still wear anything else? Yeah cuz right now I'm only seeing you show up to work in shoes. I forgot about those green shoes!